A recent article from VICE News discusses a cluster munition attack in the eastern Ukrainian city of Donetsk on October 2, 2014. ARES produced a conflict damage assessment report for VICE News, and investigated munition remnants and munition impact sites from the attack, identifying the munition used as the Russian 9M27K rocket with 9N128K warhead, carrying 30 9N210 high explosive fragmentation (HE-FRAG) submunitions. These 220 mm rockets are fired from the 9K57 Uragan multiple-launch rocket system (MLRS). 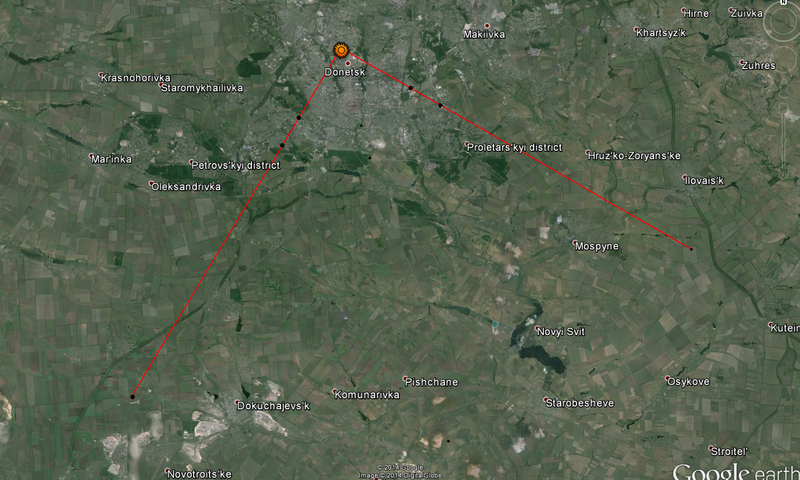 ARES have previously documented the use of 9M27K rockets in Ukraine here, and in Syria here. Below are some excerpts from the full article. Technical analysis of 12 crater sites, shrapnel impact damage, and a building pierced by a rocket — as well as eyewitness testimonies — by Armament Research Services (ARES) concluded that the attack very likely originated from a position to the south of the city. 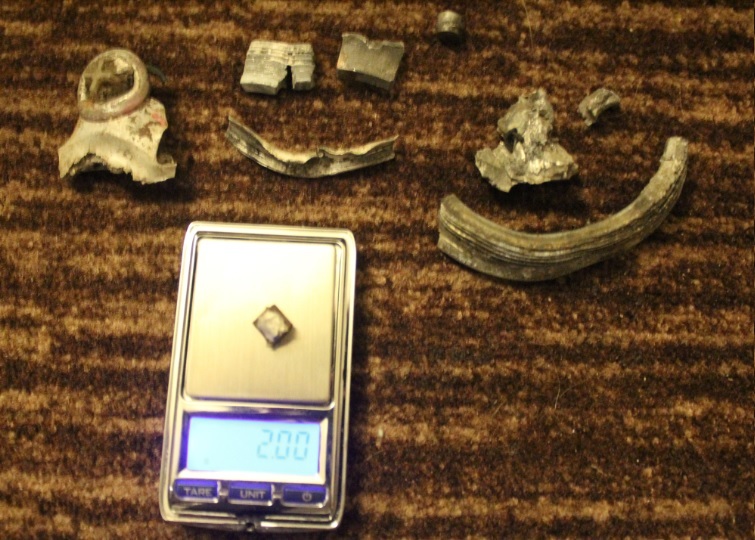 This shrapnel-turned-toy was identified in the ARES report for VICE News — alongside rocket cargo warhead sections, unexploded submunitions, tail fins, and other distinctive fragment pieces — as one of the many scattered remnants of a 9M27K rocket, a cluster munition containing a payload of 30 9N210 bomblets. 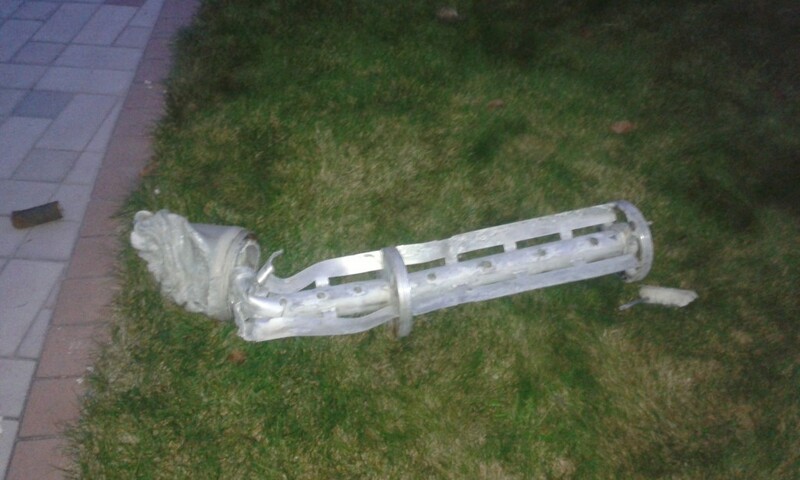 Remnants of a 9M27K cargo rocket recovered from the attack. Based on the physical evidence from two hit sites provided by VICE News from the October 2 attacks, ARES experts were able to calculate an azimuth range lying between 120 and 210 degrees as the site of a possible firing position, indicating that the rockets most likely came from a southern direction. The likely direction from which the attack originated. The full VICE News article can be read here. Thanks to Harriet Salem from VICE. Where is your report ? The report was commissioned by VICE News for their internal use.